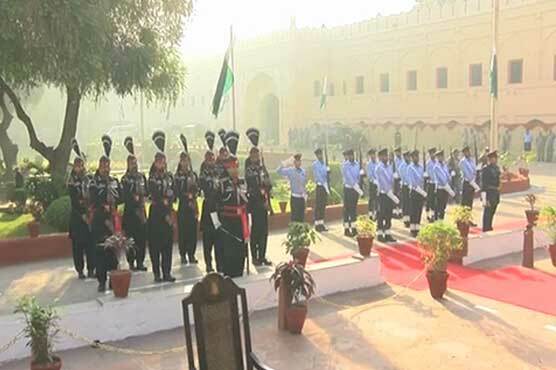 LAHORE: On the occasion of the 78th Pakistan Day, a graceful change of guard ceremony was held at the mausoleum of Allama Muhammad Iqbal on Friday. An efficient contingent of the Pakistan Air Force (PAF) assumed the ceremonial guard duties with traditional enthusiasm. Air Commodore Syed Sabahat Hassan graced the occasion as the chief guest and reviewed the activities of the PAF contingent. He also laid a floral wreath over the great philosopher and poet’s grave and offered Fateha.